The obvious answer is with a McGold Card in one hand and a free Happy Meal in the other. 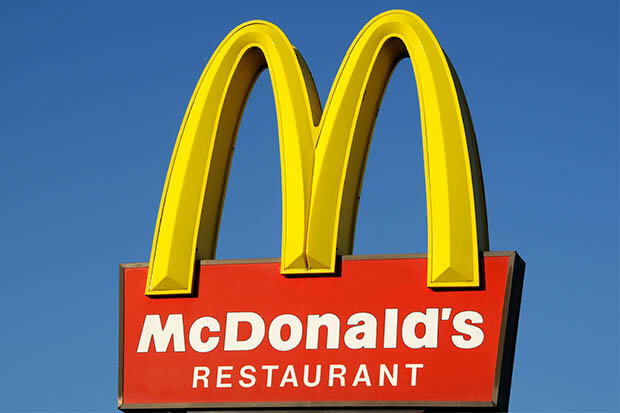 The victor will receive a gift card via the McDonald's app with $1,000 that can be used to get the food. The mysterious McGold Card, which for years has been rumored to grant a select few free McDonald's for life, is in fact real and returning for one fortunate fan. This marks the first time McDonald's has ever given away a McGold Card. The victor of the McGold card will also be awarded with a customized 24-carat golden phone case to mark their membership into the history and mystery of McGold Card lore, all powered by the McDonald's App in 2018. McDonald's is offering free food "for life" in a new contest as part of a campaign to promote its mobile app and online ordering system. In order to place yourself in the running for the highly coveted and sought after McGold Card, all that you have to do is place an order through the McDonald's app from August 10 through August 24. Even Rob Lowe and Bill Gates don't have one of those, so take that, dudes who can already afford all the McDonald's they want but don't have to pay for it anyway! McDonald's says they will do a random prize drawing "on or about" August 29, 2018. If you win, your concerns over where your next meal is coming from will be replaced by fears that your heirs will attempt to hasten your death (more than eating a lifetime supply of Big Macs will hasten it) in order to get their grubby mitts on your McGold Card.